Botrytis thrives in high humidity and cool weather, so gardeners will see signs of grey mold most often on spring flowers. In the outdoor flower garden, marigolds, impatiens, peonies and roses are the most likely plants to show signs of botrytis. 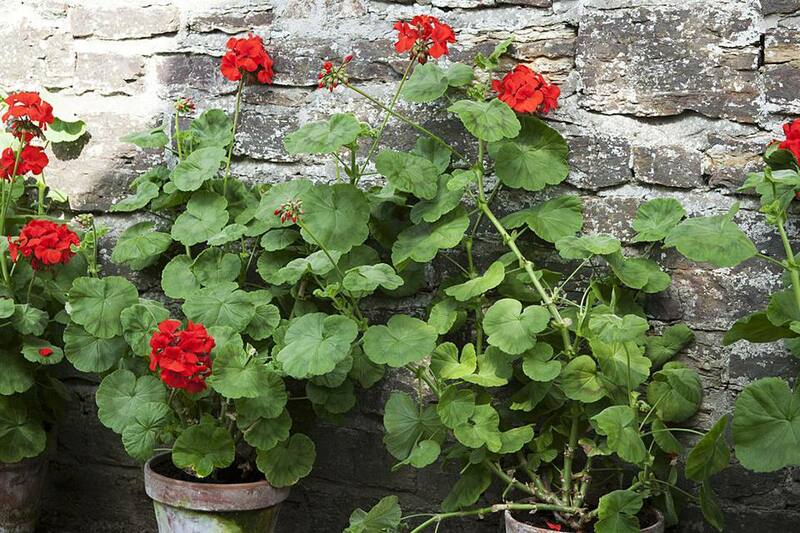 In the greenhouse, several flowers are susceptible to this fungus, especially cyclamen, geraniums, and poinsettia. Seedlings that often succumb to damping off disease caused by botrytis fungi include pansies, petunias, and snapdragons. Sulfur powders and sprays are effective at controlling fungal diseases like botrytis in the flower garden. Apply sprays early in the morning or evening to avoid harming bees or beneficial insects. A less common, but very effective organic treatment against foliage diseases in the flower garden is the bacterium Bacillus subtilis, sold under the trade name Serenade. Many gardeners report that the fragrance of this spray is less offensive compared to other organic or conventional fungicide sprays. When you notice the first signs of botrytis in the flower garden, get out the clippers. Remove all affected foliage and flowers, and destroy the plant matter. Sanitize clippers with an alcohol wipe after pruning diseased plants to prevent spreading the fungi to healthy plants. It’s also important to keep the ground around plants free of decaying leaves, which act like a nursery for fungal spores. Although you can’t do anything about humid conditions in your area, you can help plants cope with excessive moisture. Use drip irrigation, which delivers water to the root zone where it's needed and keeps leaves dry. Avoid overhead watering, which can splash disease-carrying soil onto leaves. Water in the morning to allow the sun's rays to quickly evaporate any moisture on leaves. Follow proper plant spacing guidelines, to enhance air circulation. Prune the interior of dense plants to increase air movement that carries away disease spores. The principles of botrytis management in the greenhouse are similar to those in the garden, but greenhouse gardeners can control the greenhouse environment more than the outdoors. Use fans of adequate size and number for the greenhouse size. You should aim for a relative humidity below 80%, and completely changing the air three one to three times an hour should help to achieve this. Your greenhouse retailer can help you calculate fans needed according to the cubic feet of your greenhouse. Raise the temperature of the greenhouse at sunset to dry condensation on leaves. This is especially important in the winter. Isolate plants showing signs of botrytis from the greenhouse population. Destroy the plants on inexpensive specimens that you can easily replace; this prevents widespread, more costly outbreaks. Unfortunately, horticulturists haven’t developed any completely botrytis-resistant flower species. 'Fantasy Blue' petunias and 'Tidal Wave Pink' petunias are two varieties that are more resistant to flower blight than older petunia varieties. Peony lovers may have more luck with tree peonies and intersectional hybrids than with P. lactiflora garden peonies. Gardeners must continue to battle this tenacious fungal flower disease by practicing good garden and greenhouse hygiene and cultural practices.